Our new Lavender Creamy Body Wash wins an Allure Best of Beauty Award. Formulated in an enchanting essential oil blend of lavender and sesame seed. It cocoons skin in a luscious lather, leaving your skin smooth and gently cleansed. So, at the end of a long day, and before a truly restful night’s sleep, trust this body wash to soothe and calm your senses. Your beauty shines when you feel brilliant, when your eyes are bright and clear and your skin glistens. When you spend the morning running , doing yoga or simply doing something that makes you smile. When you’re radiating serenity. 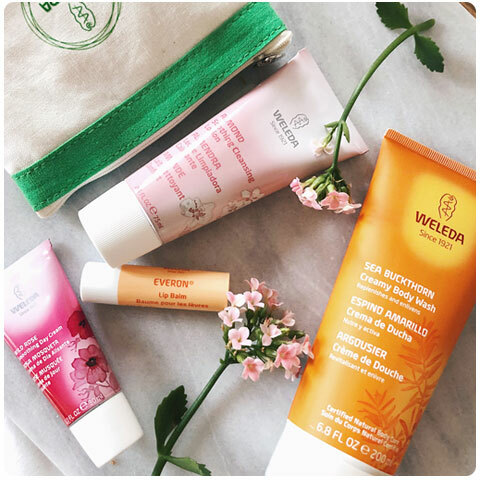 Weleda believes that nature has the answer – that for every person, there’s a plant partner that can bring you into glowing, happy harmony. So, we build our formulas around powerful lead plants. Weleda’s almond oil is cold-pressed and harvested in Spain, chosen for its gentleness especially for sensitive or dry skin. Our iris root is grown in Morocco and known for its absorbent texture that holds in moisture, leaving all skin types naturally dewy and hydrated. Our best-selling beauty secret is Weleda Skin Food. We use extracts of wild pansy, rosemary and chamomile for a rich cream that nourishes and illuminates. Weleda loves Damask wild rose because it’s high in essential fatty acids, helping skin feel luminous, soft and renewed.